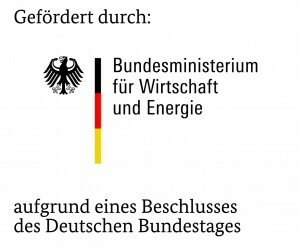 PRO-OPT is a research and development project in the context of the technology program “Smart Data – Innovation from Data” of the German Federal Ministry for Economic Affairs and Energy (BMWi). The aim of PRO-OPT is to enable companies to perform effective and smart analysis of large amounts of data in decentralized cooperative structures (Smart Ecosystems). Particularly as a result of digitization and automation, ever greater amounts of data are generated in production. The data sources are distributed among different, economically independent participants in the ecosystem, especially because of the common practice to use not only parts produced by a company itself in production. Taking into account access authorizations, overarching analyses must be brought down to the level of these sources. Big Data strategies are intended to enable such analyses, respectively design them more efficiently. The solution will be established in the automotive domain as it occupies a key position in Germany and exerts a strong beacon effect on other industries.